The guitarist claims "breach of fiduciary duty" among other complaints. Lindsey Buckingham has filed suit against Fleetwood Mac for firing him earlier this year. According to documents filed in Los Angeles County Superior Court, Buckingham is suing his former band mates for "breach of fiduciary duty, breach of oral contract and intentional interference with prospective economic advantage." Buckingham claims he was informed by his manager in January that Fleetwood Mac would be going out on tour in 2018 and 2019 and that he would not be part of the band. The guitarist acknowledges that he had requested the group start the world tour in November 2018, rather than August, to allow him time to release and promote a new solo album. When that request was refused, he put his solo plans on hold and agreed to a 60-date tour with Fleetwood Mac. Additionally, after learning the group only wanted to play three shows a week, he requested permission to book solo shows to coincide with off-days. Believing that plans were in motion for the classic Rumours-era lineup—Buckingham, Stevie Nicks, Christine McVie, Jon McVie and Mick Fleetwood—to tour in 2018, the guitarist was instead informed in January that the outing would proceed without him. Soon after, it was then announced that his spot in the band would be filled by two musicians, Heartbreakers guitarist Mike Campbell and Crowded House vocalist and guitarist Neil Finn. The suit also alleges that a deal with Live Nation was expected to earn each member of Fleetwood Mac between $12 and $14 million for the 60-date tour. 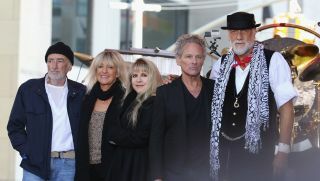 In a statement to Rolling Stone about the lawsuit, Buckingham said: “Last January, Fleetwood Mac made the decision to continue to tour without me.